General Motors Products of Candad, Ltd. 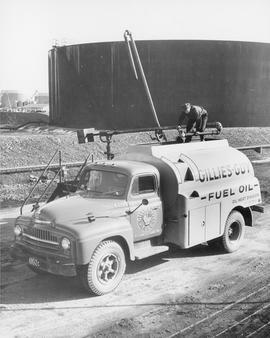 Item is a photograph of a worker filling a Gillies-Guy Fuel Oil truck at the Weaver Coal and Oil Company storage dock at the foot of Victoria Ave. 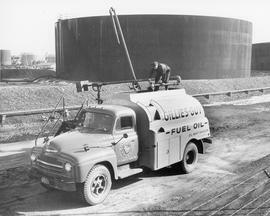 The headquarters for Gillies-Guy was located at 65 James Street South.